What do you do on a hot Saturday afternoon? Head to the beach, of course! The Harveys’ beach of choice is Hillary’s, located thirty minutes west of their house. 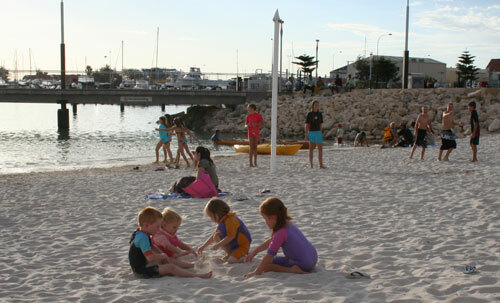 Featuring a long surf beach, it also has water areas protected by a manmade boat harbour where children can frolic safely. 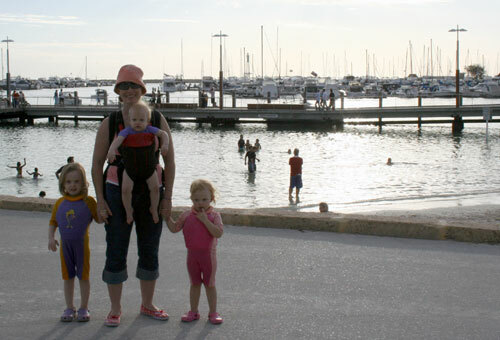 This is the easiest way to get around with three young ones. 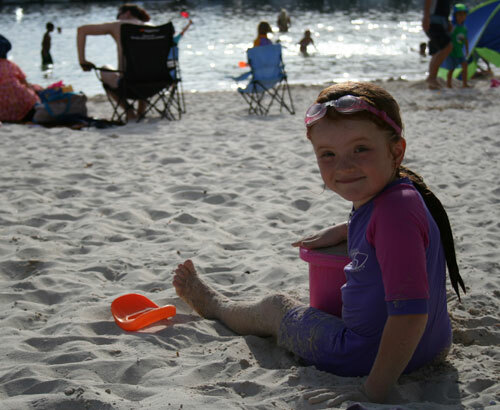 The kids loved playing in the sand. 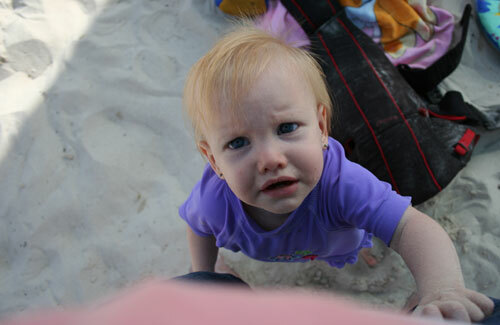 I didn't want to get sandy, but Calista kept wanting to climb up on me and I had to give in to her pleas. Jemilla, 6.5 years old. Her hair is longer than mine. 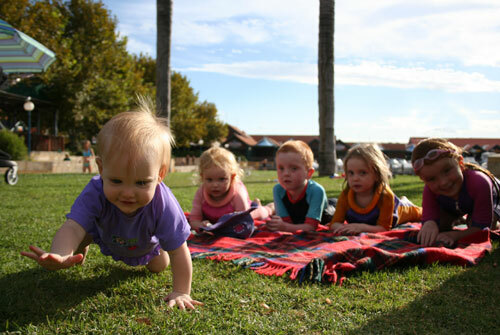 The kids are waiting for Renée to return with our picnic. Patience rewarded! 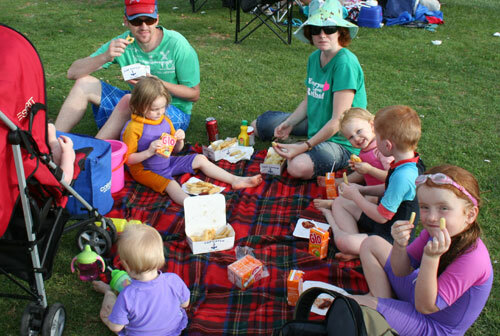 The Harveys have a tradition of eating the traditional food of fish and chips when they go to the beach. It tasted terrific! I always enjoy examining the artworks on display throughout public spaces in our communities. The variety of creativity and construction astounds me. At Hillary’s, I was first introduced to the concept of a wind rose. 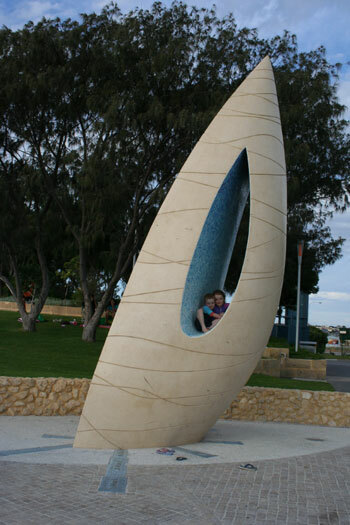 This wind rose sculpture is a three-dimensional record of fifty years of the wind's direction and velocity at this location. More information on a wind rose can be found here.